Barcelona, Spain/Waterloo, Ontario – February 24, 2016 – BlackBerry Limited (NASDAQ: BBRY; TSX: BB), a global leader in secure mobile communications, today announced Microsoft customers now have access to BlackBerry’s secure enterprise mobility solutions in the open, flexible, enterprise-grade cloud computing platform Microsoft Azure. Enterprises can opt to install and manage their BES12 deployment through the Azure platform. This means customers have full access to their BES12 licenses while benefiting from the Microsoft cloud architecture – without having to invest in their own IT infrastructure. BlackBerry and Microsoft complement their best-in-class security capabilities in this combined offering. BES12 is designed with the compliance needs of the most strictly regulated industries in mind, while Azure places an emphasis on the customer’s security and control over their own data. BES12 is part of the recently announced Good Secure EMM Suites and BlackBerry will continue to introduce other products in the Good Suites to Azure. In the coming months, BlackBerry and Microsoft will also add the network crisis communication solution from AtHoc into the Microsoft Azure Marketplace. AtHoc enables people, devices and organizations to exchange critical information in real time during business continuity and life safety operations. The integration into the Azure Marketplace will further extend the AtHoc software platform globally, enabling crisis communications networks in the cloud for customers and helping them to address their local privacy concerns and regulations. “By 2017, approximately 75% of EMM solutions will be deployed in the cloud, with on-premise solutions mostly reserved for legacy installations. Further, high capability EMM installations beyond simple mobile device management will represent 50% of deployments, up from 25% in 2014. This reflects the ease of enabling higher end capabilities like file management, app stores, single sign on and data security when provisioned by cloud-based Software as a Service (SaaS) systems,” according to Jack Gold from analyst firm J. Gold Associates LLC. 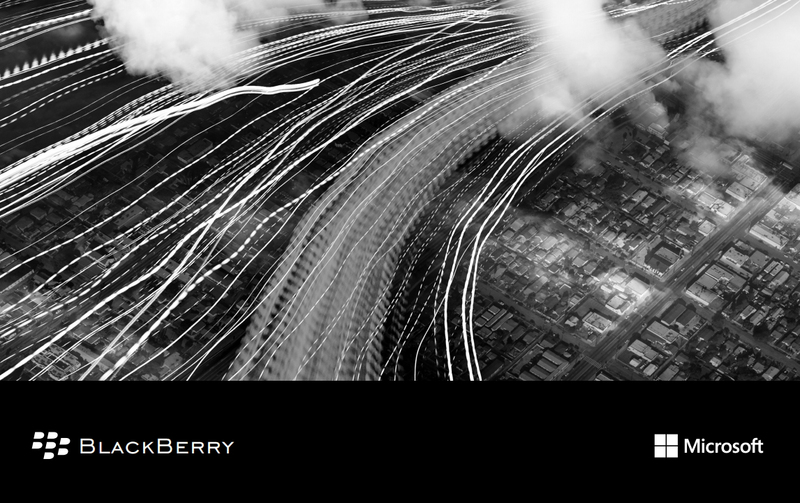 “We are excited to have customers advance their business while protecting IP and customer data with BlackBerry´s multi-OS EMM platform BES12 on the Microsoft Azure platform,” said Steve Guggenheimer, Corporate Vice President, Developer Experience & Evangelism and Chief Evangelist, Microsoft Corp.
BlackBerry and Microsoft will continue to collaborate to bring more integrated solutions for customers. Many organizations that run BlackBerry´s secure enterprise solutions also deploy Microsoft solutions. Those customers will start to see additional synergies as they mobilize BlackBerry solutions through the Microsoft Azure platform.